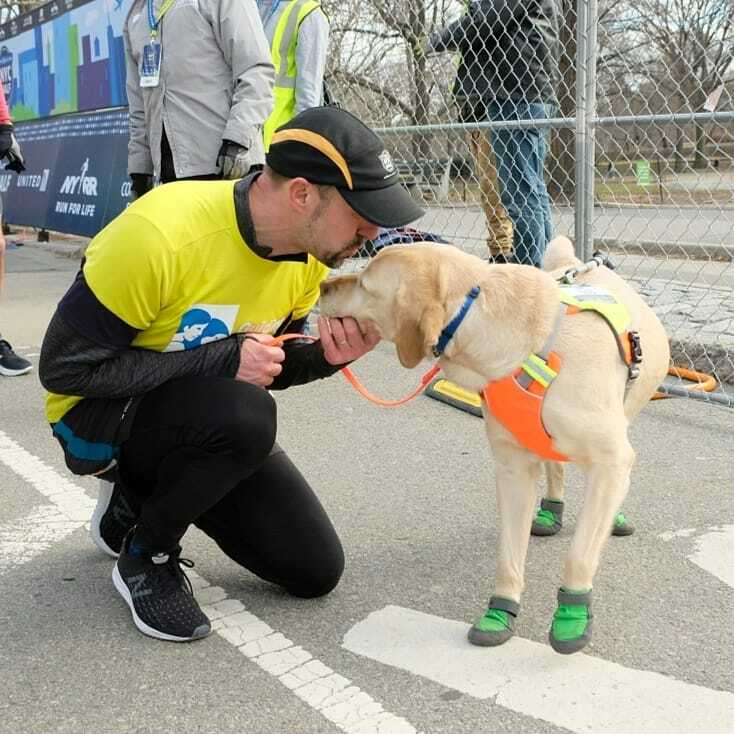 On St. Patrick’s Day 2019, Thomas Panek made history as he crossed the finish line of the New York City Half Marathon with his trusty guide dog Gus leading the way. Thomas has been blind since his early twenties due to a genetic condition called retinitis pigmentosa. Always an avid runner, Thomas never let his new disability keep him continuing to run foot races. 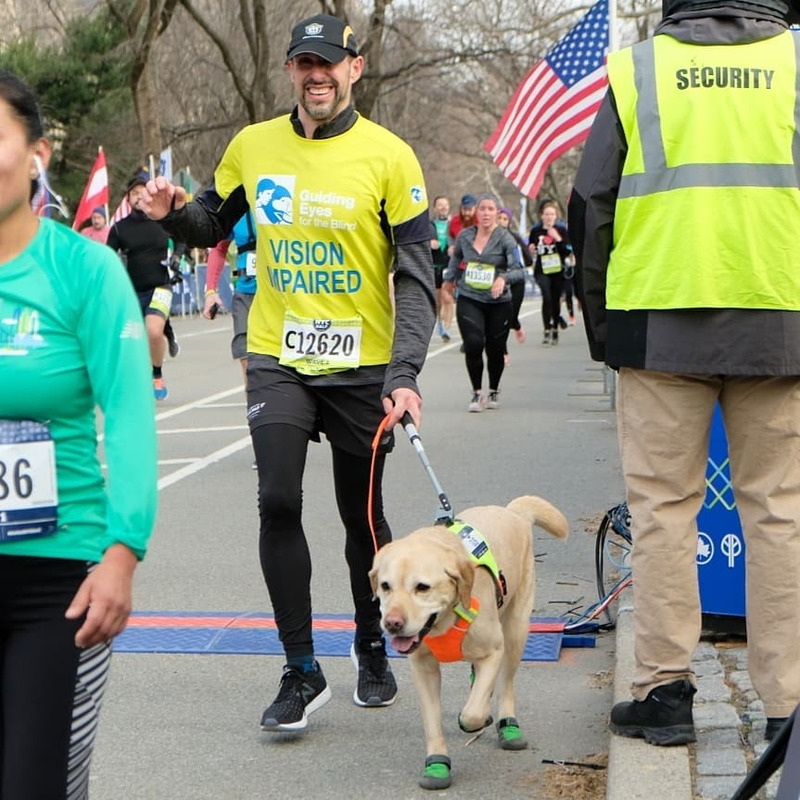 Instead, he founded a 501(c)(3) nonprofit to help teach seeing eye guide dogs to help runners avoid obstacles and navigate running routes for sight impaired athletes like himself. 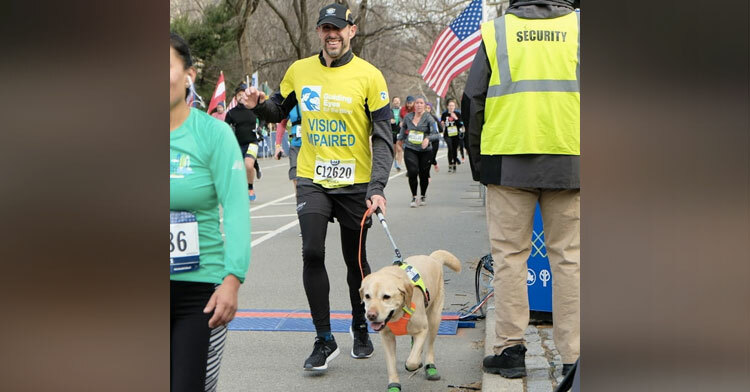 Thomas is now the CEO of Guiding Eyes for the Blind. 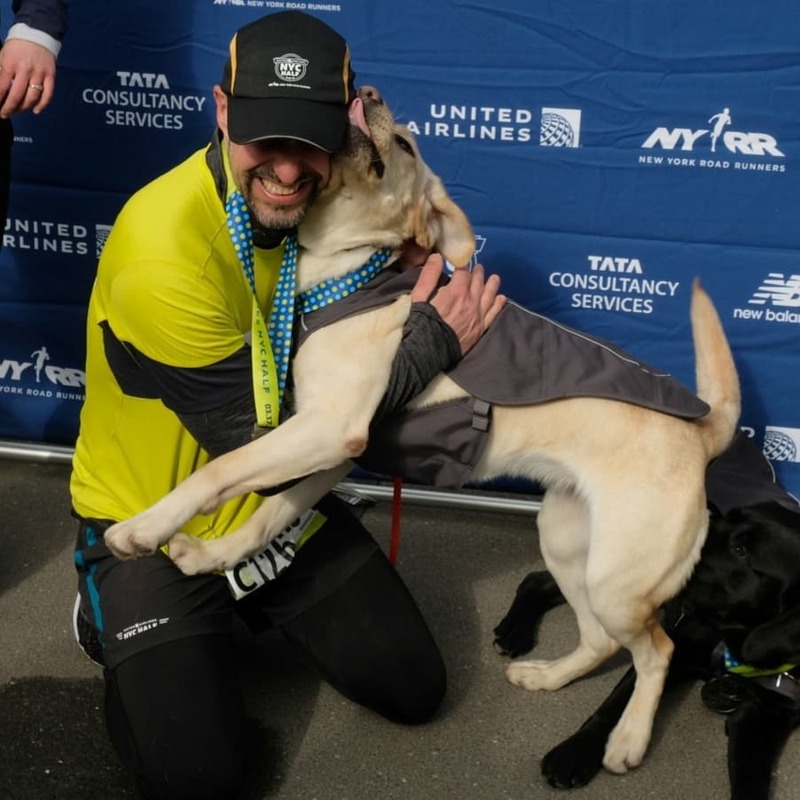 He has continued to run races in Boston, Chicago, and New York over the past decade using human guides, but the New York City Half Marathon was the first time in history that a runner attempted a long race using only dogs to guide the way. 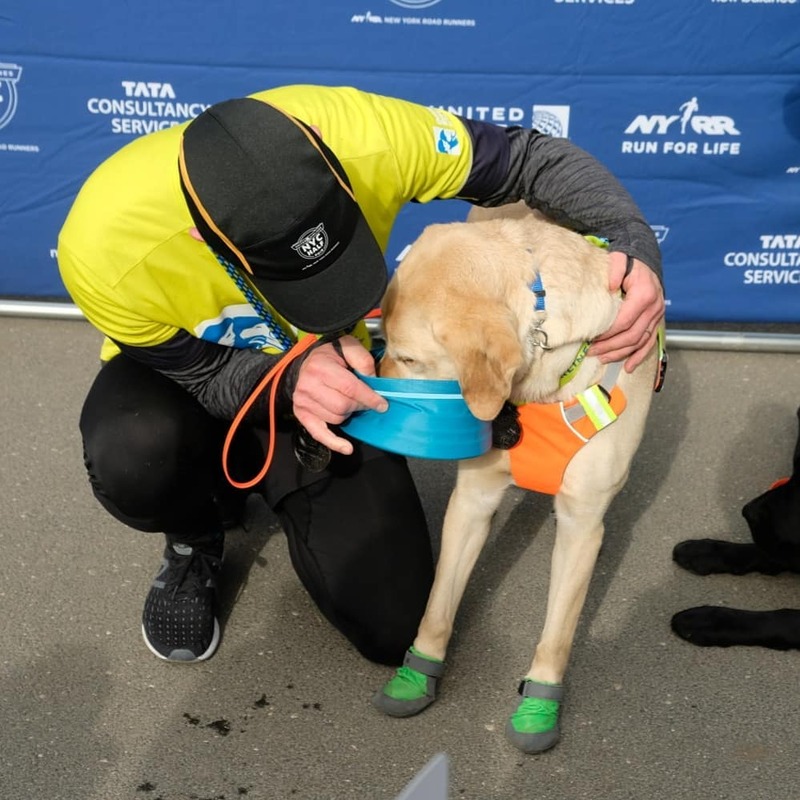 Thomas spent months training for the event with his three Labrador retrievers Westley, Waffle, and his own guide dog, Gus. Each dog ran about 120 miles over the three months that they trained for the race. 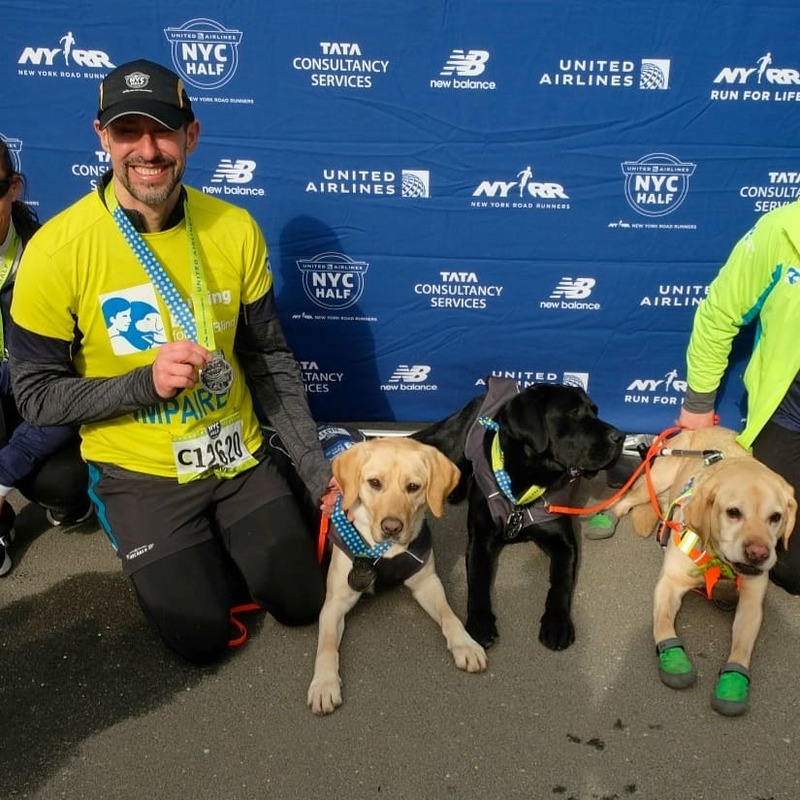 These were the very first canine athletes to ever register for and compete in the race. Westley led Thomas for the first five miles of the race and his sister Waffle took the second leg. At mile 10, Gus took over to lead Thomas the final 5K to the finish line. They finished the 13.1 mile race in two hours and 21 minutes. 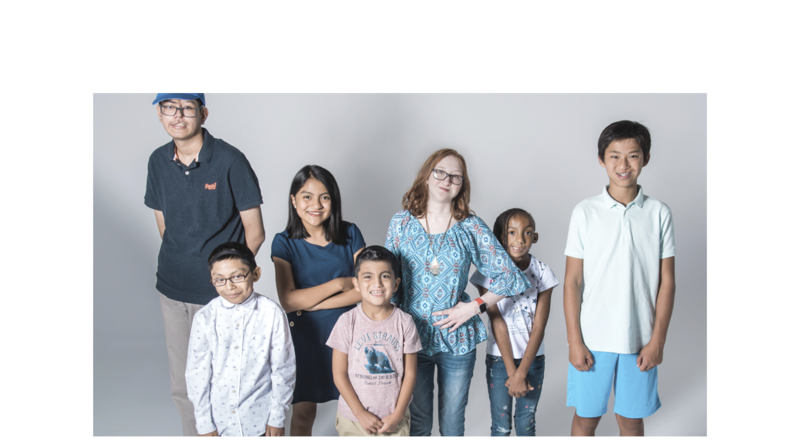 Now that Thomas and his team have finished making history, Thomas hopes the accomplishment will inspire others with vision problems to keep reaching for their goals. Quite simply, being visually impaired will no longer keep you on the sidelines! Thomas wants everyone to get out there and start running. Now that the race is over, Thomas’s guide dog Gus has officially retired. He’ll spend the rest of his life with Thomas as a family pet, not a working dog. During the training and race Thomas bonded with Westley, who will now become his main guide dog. Waffle will be paired with a new runner through the Guiding Eyes organization. 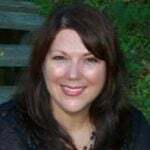 Great advice for all of us, not just those of us with vision trouble. Congratulations to Thomas and his team of canine athletes! We hope you all continue to blaze trails and make history with your incredible spirit and determination. Please share this story to congratulate Thomas for his history-making race!